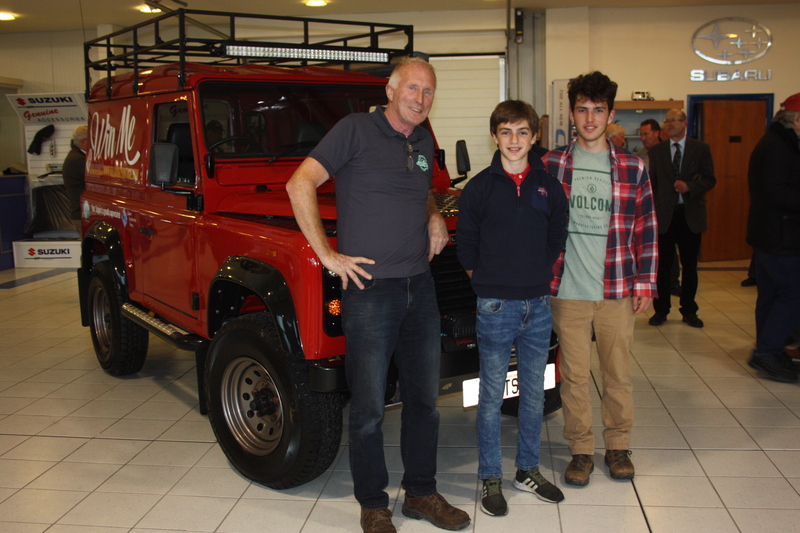 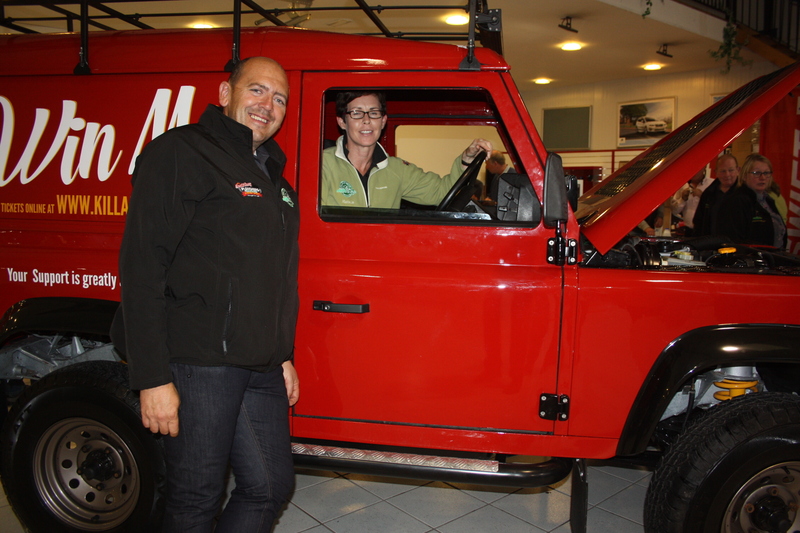 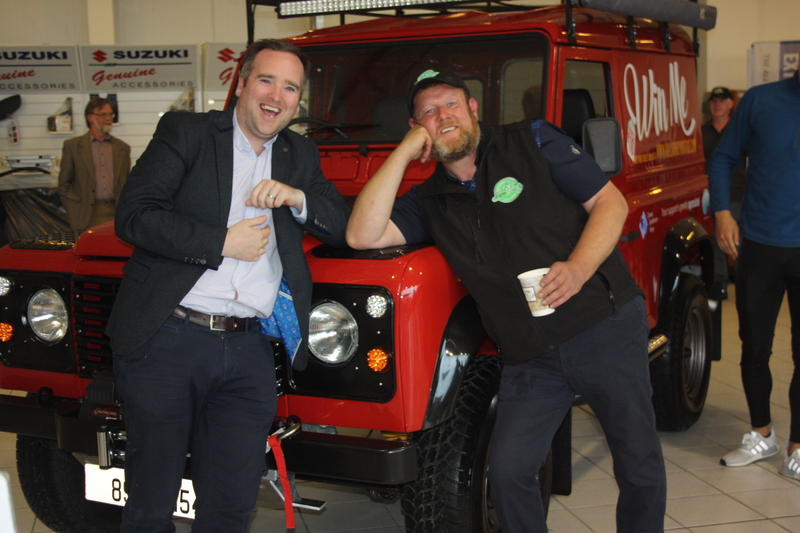 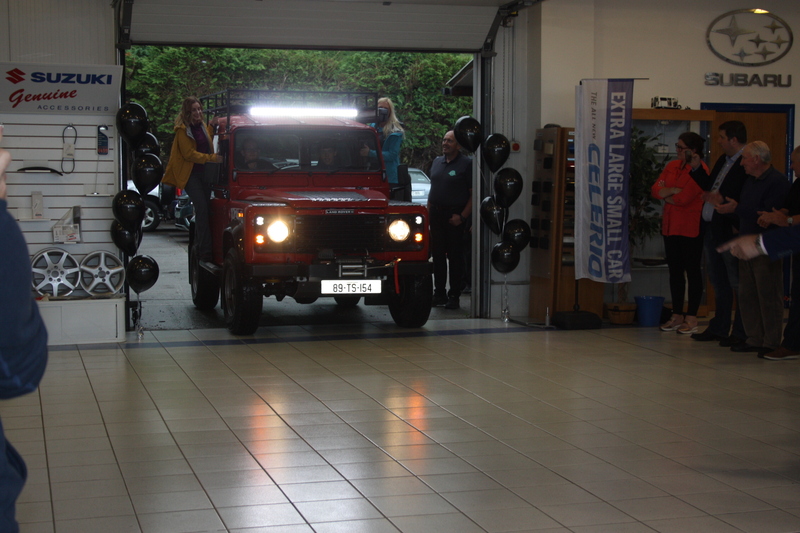 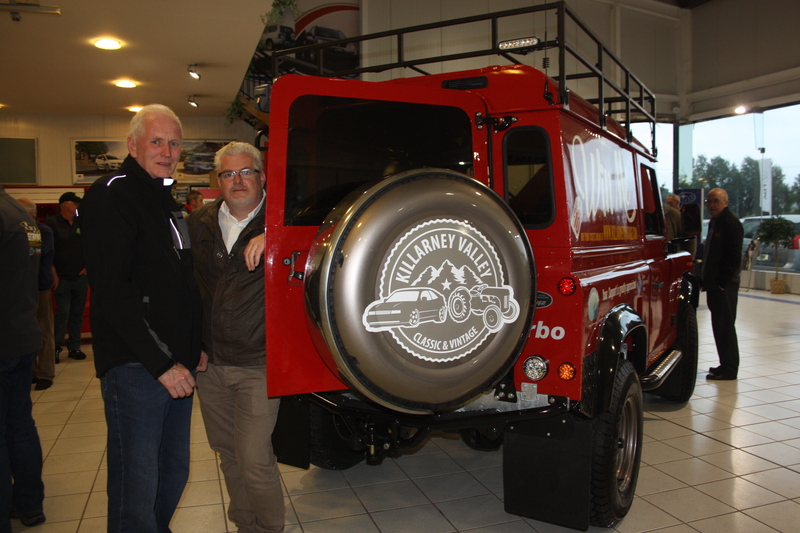 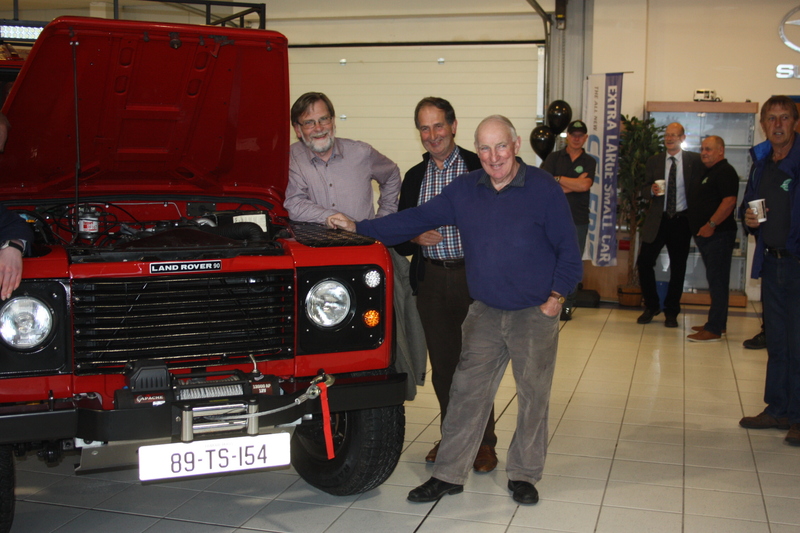 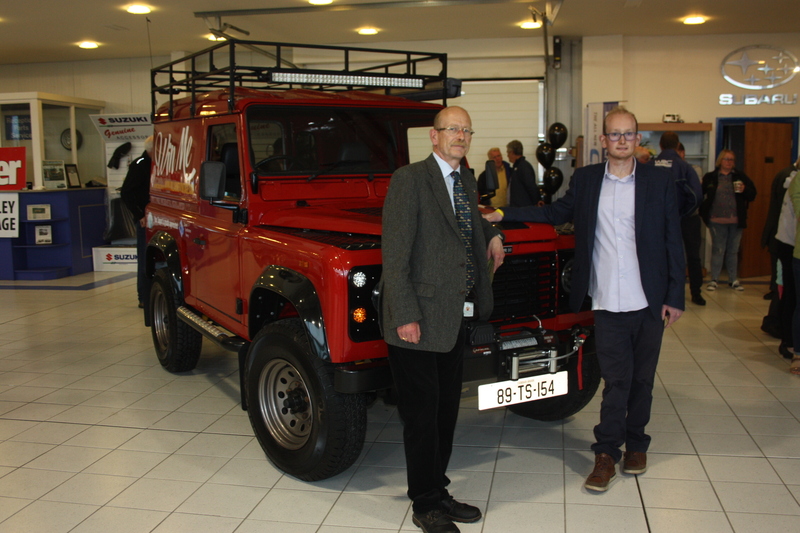 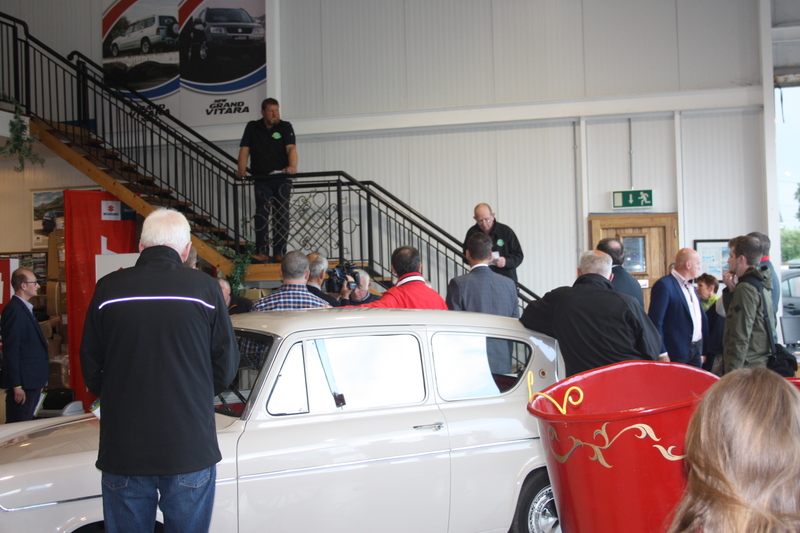 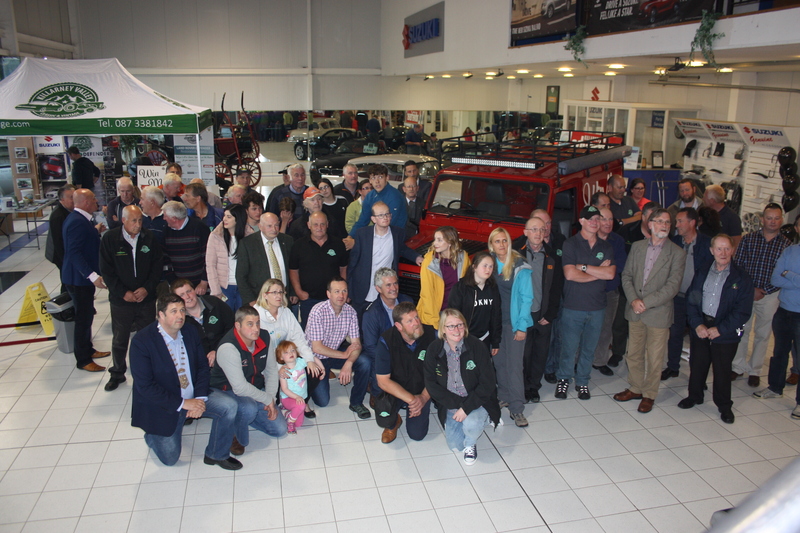 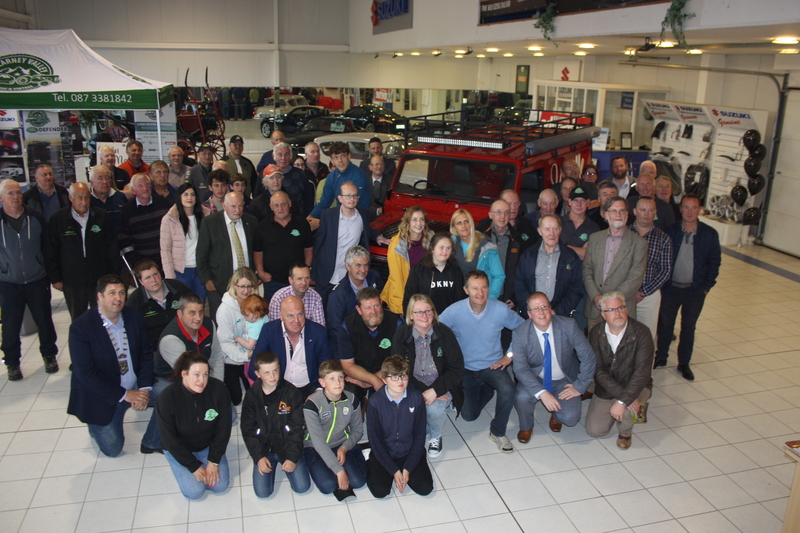 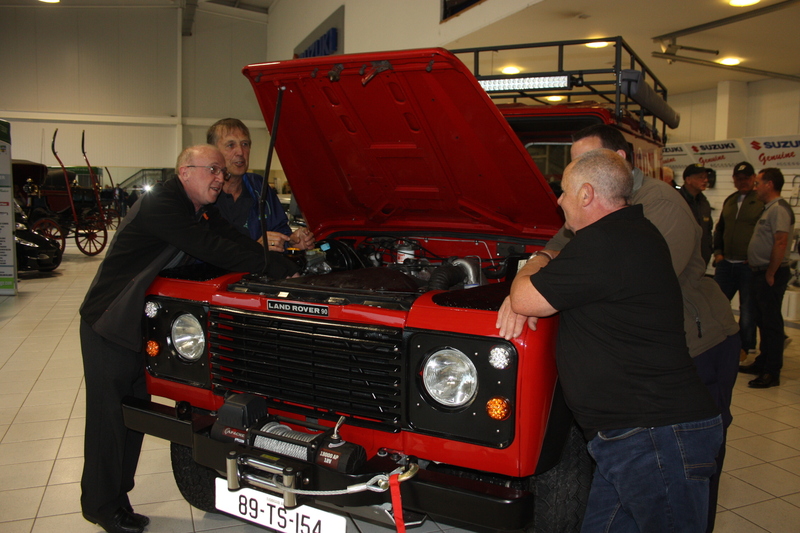 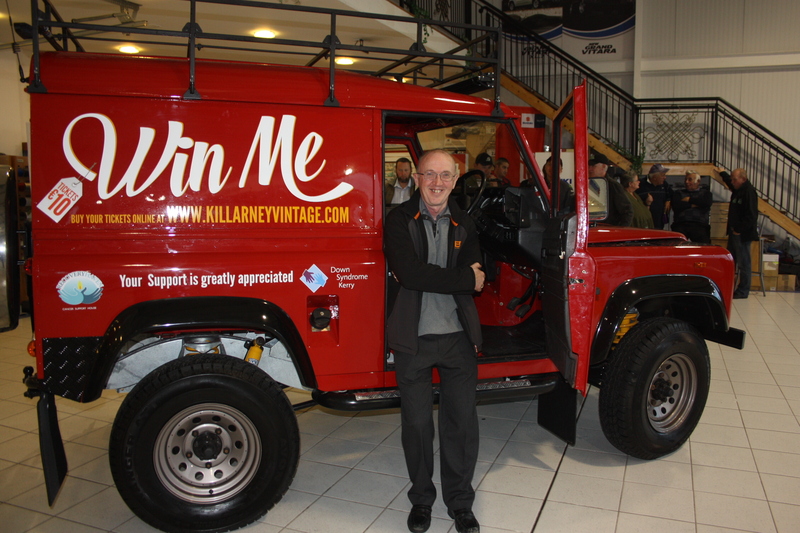 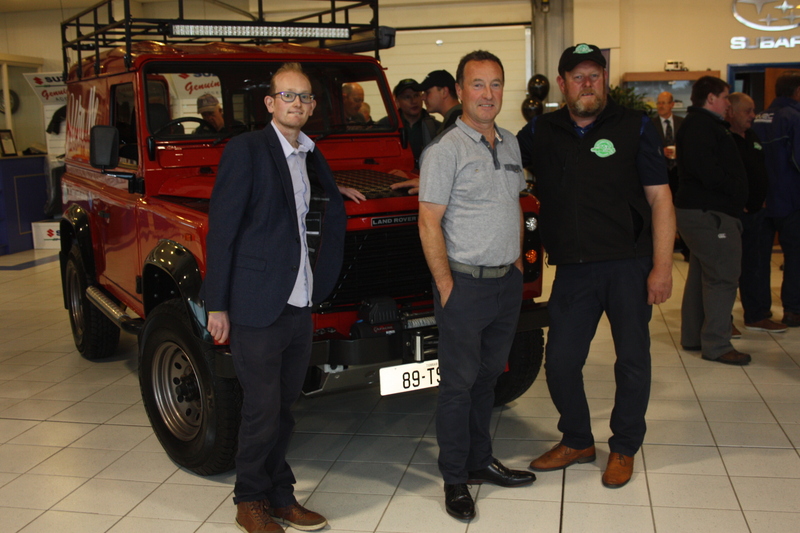 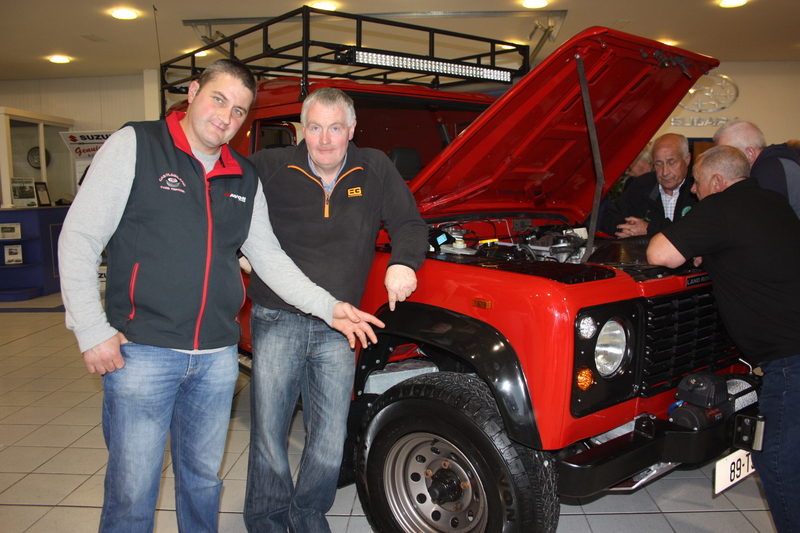 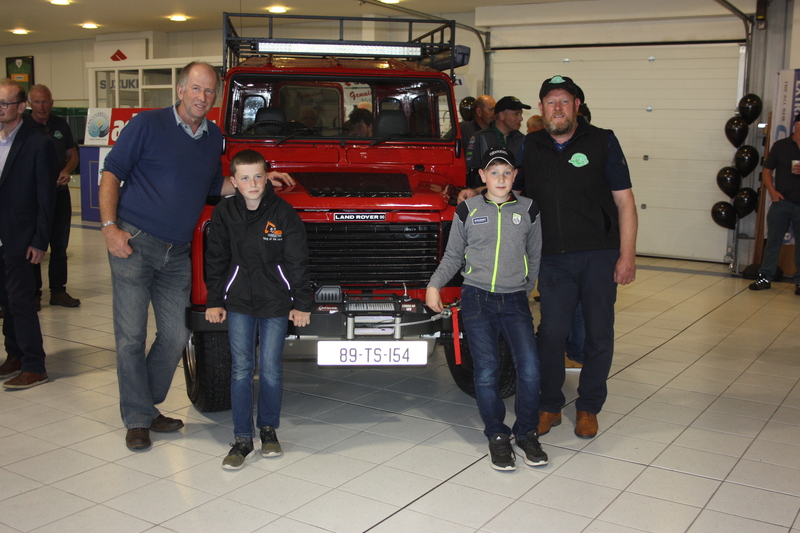 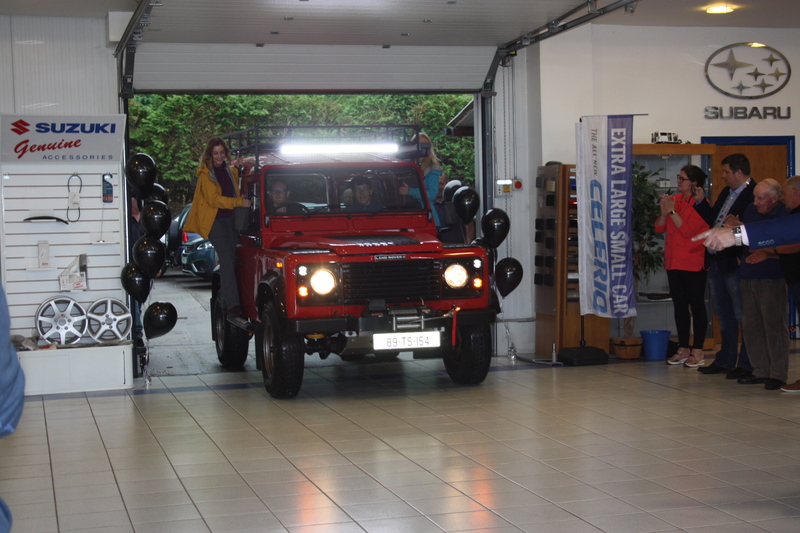 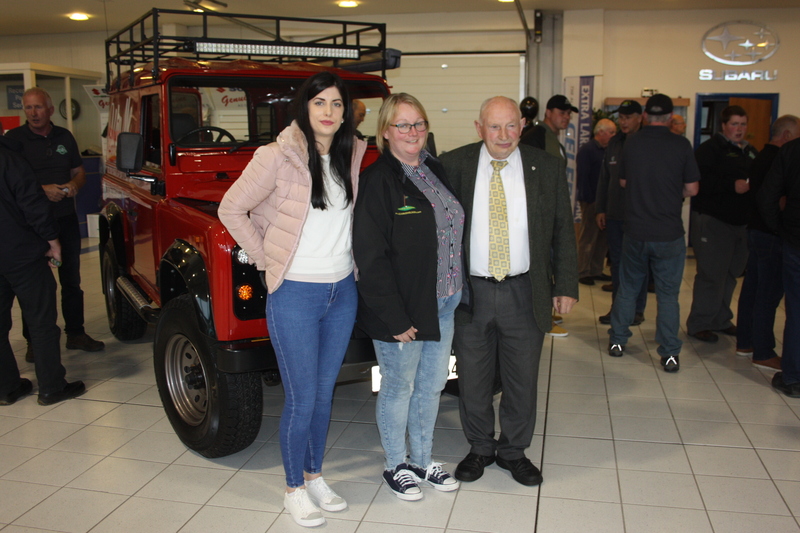 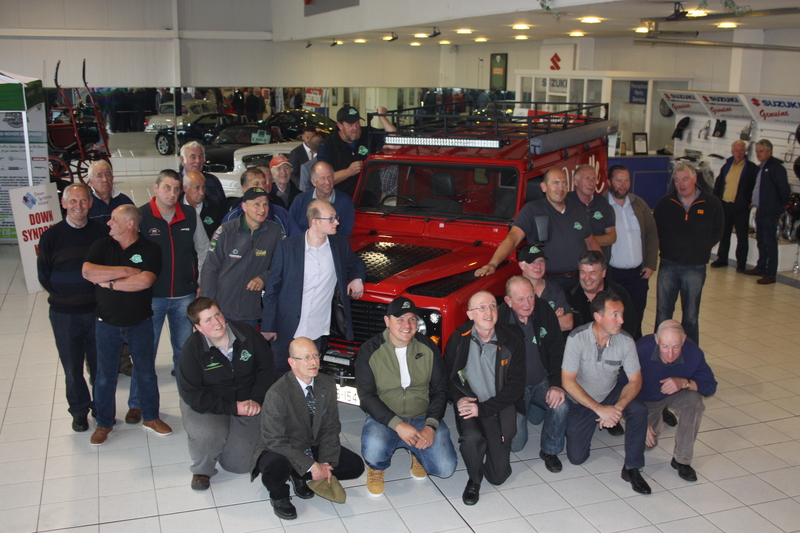 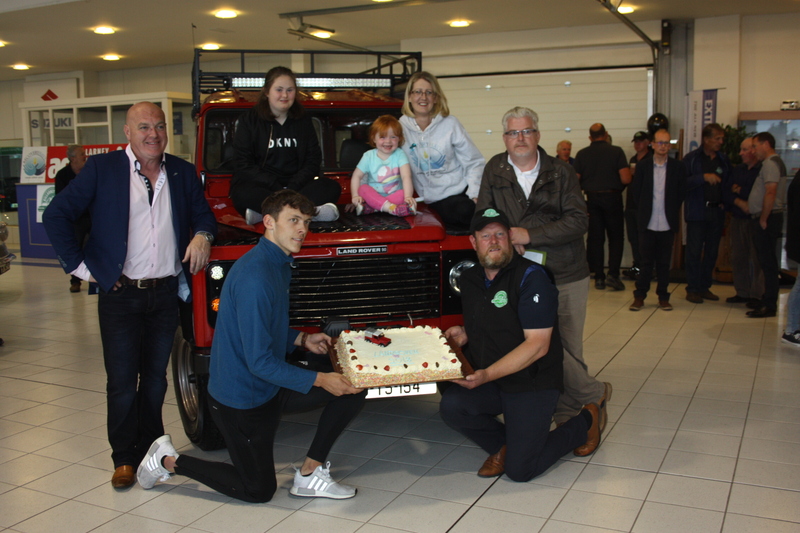 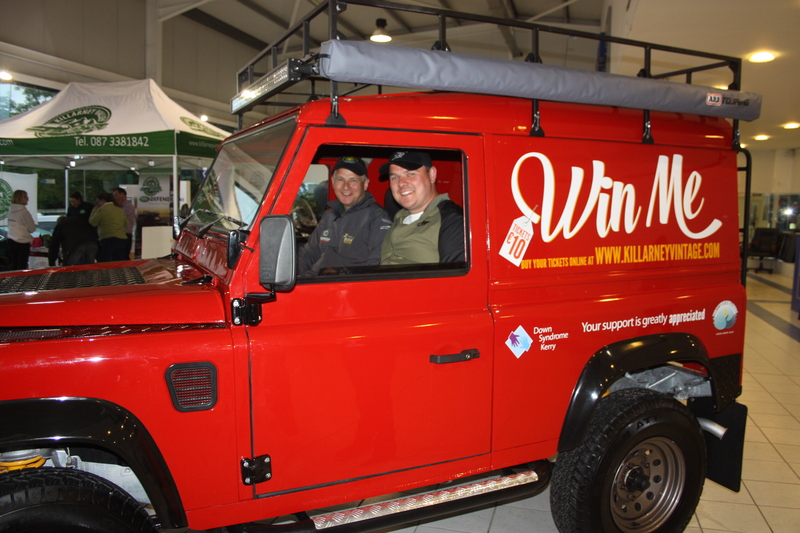 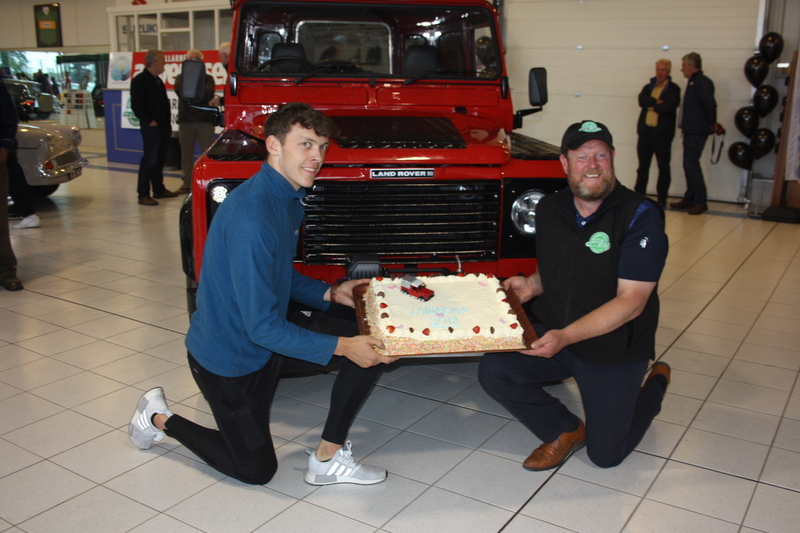 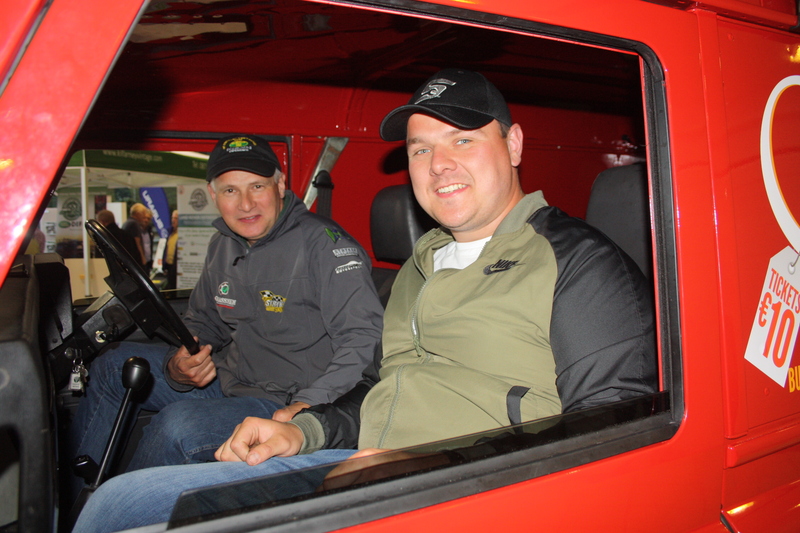 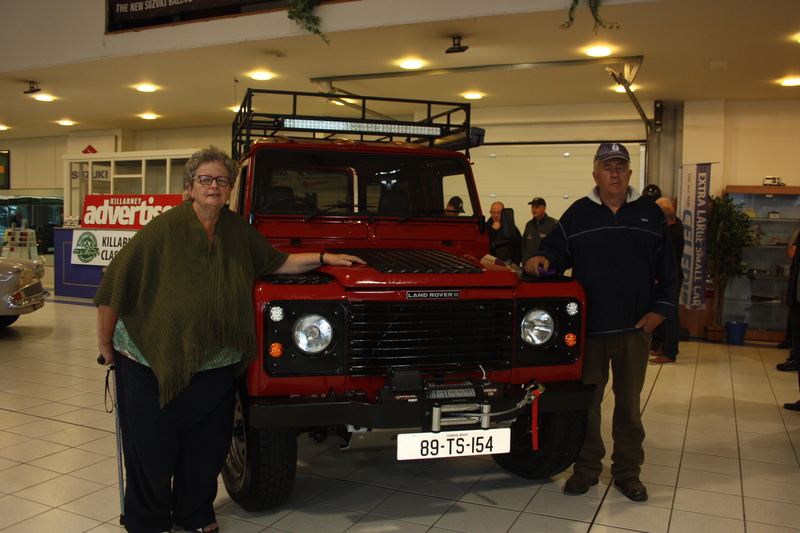 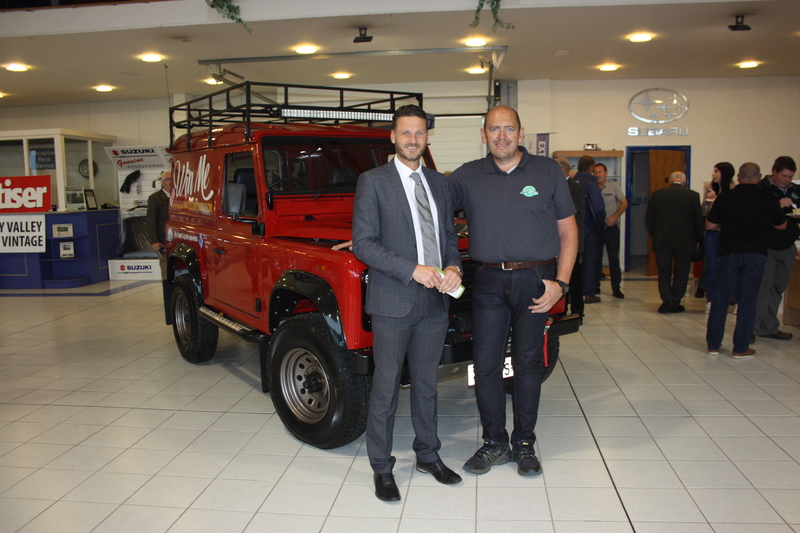 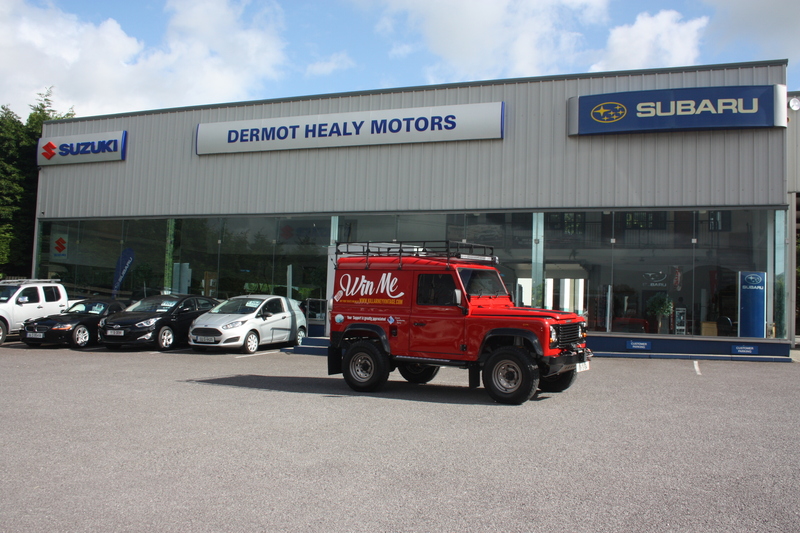 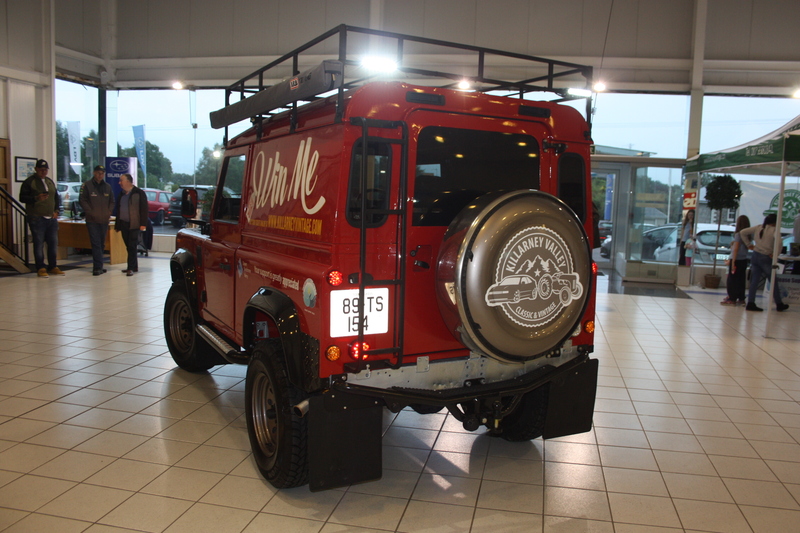 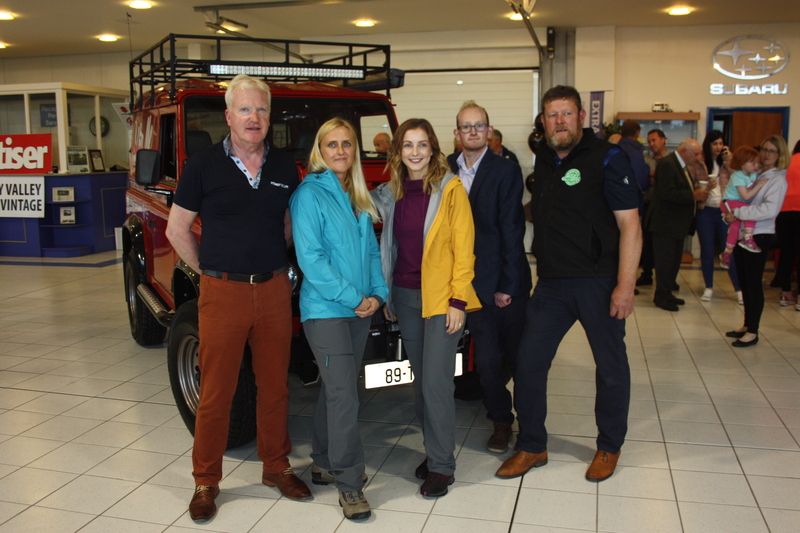 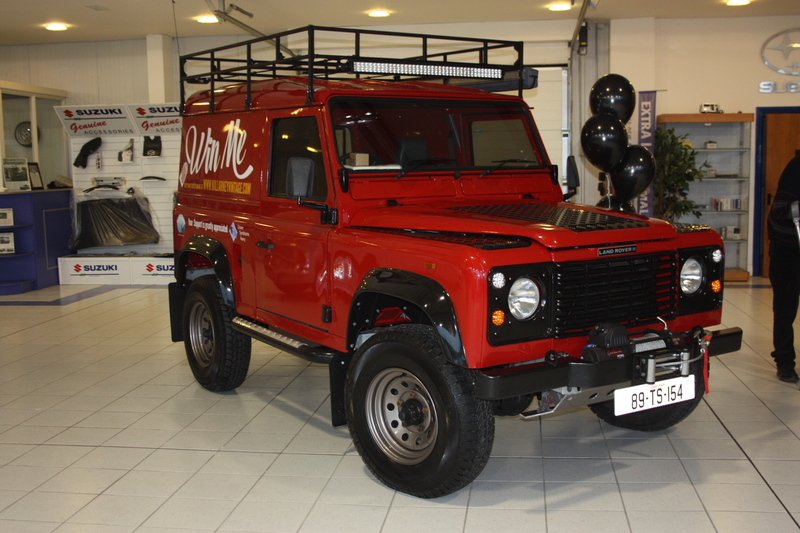 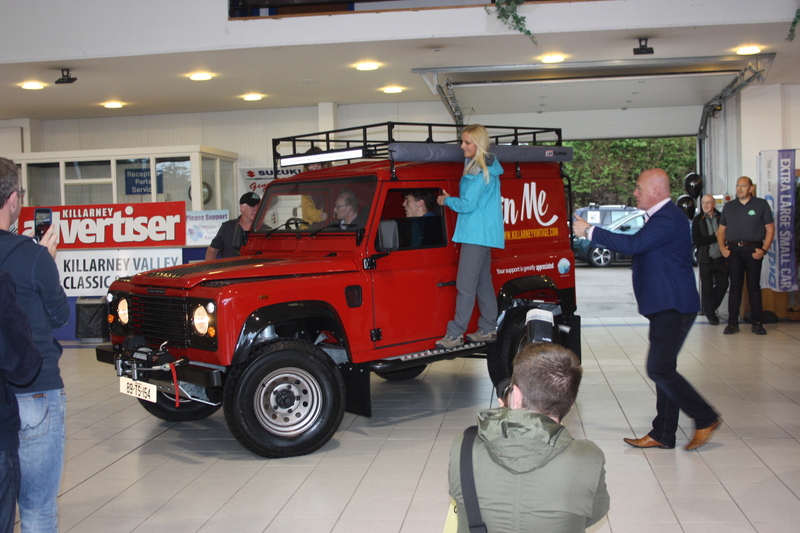 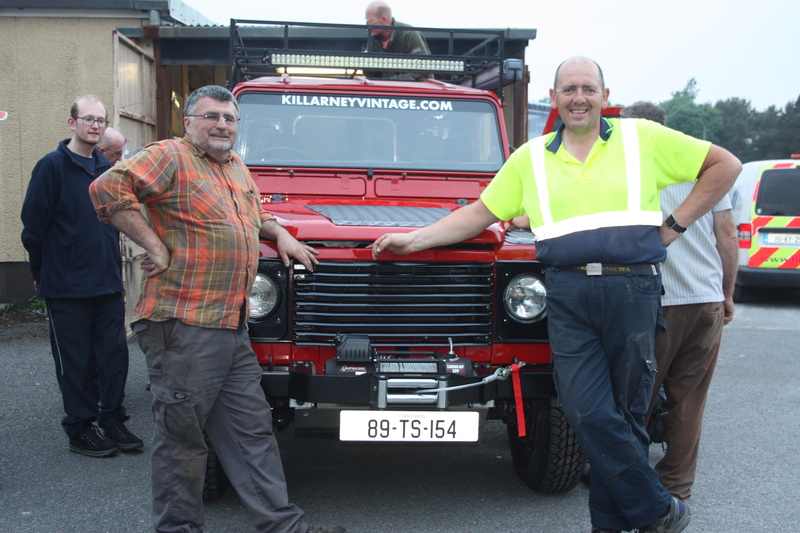 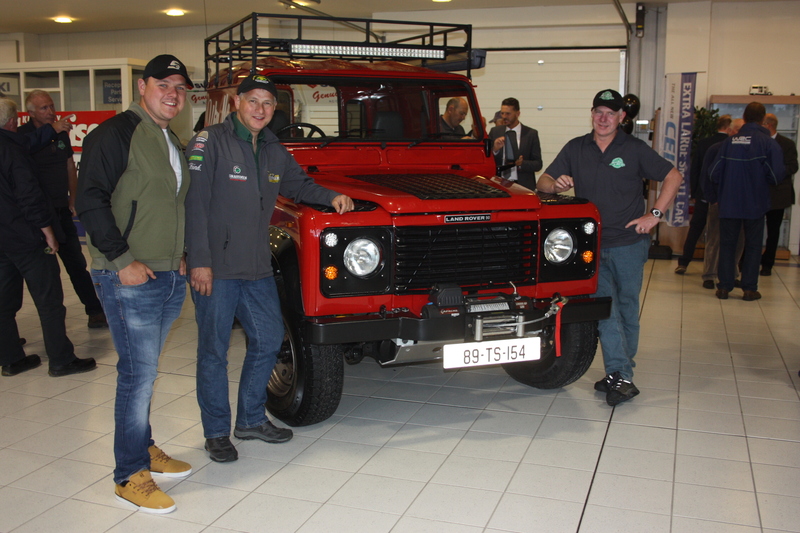 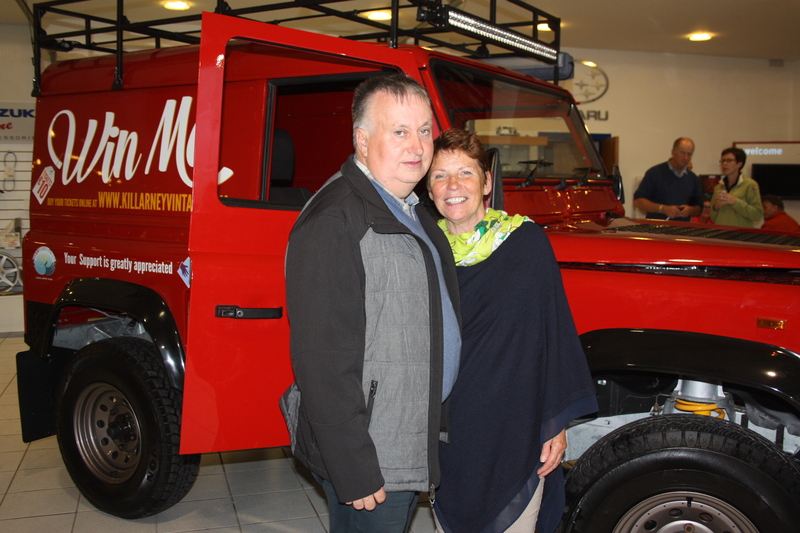 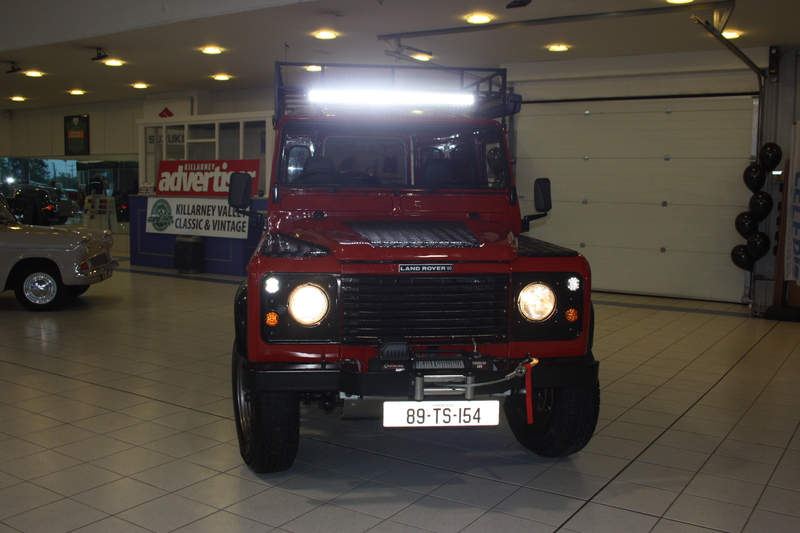 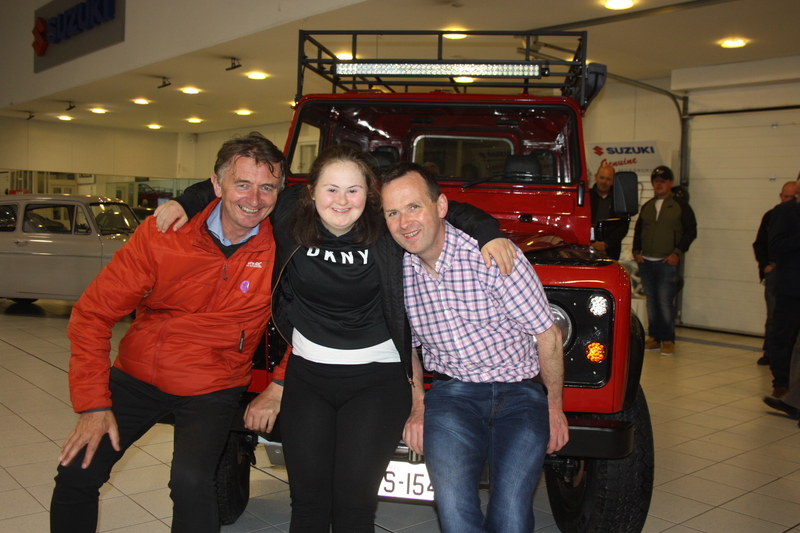 The Killarney Valley Classic & Vintage officially launched their restored 1989 Land Rover 90 last Wednesday evening at Dermot Healy Motors Killarney giving the Land Rover a whole new lease of life, all in the name of charity. 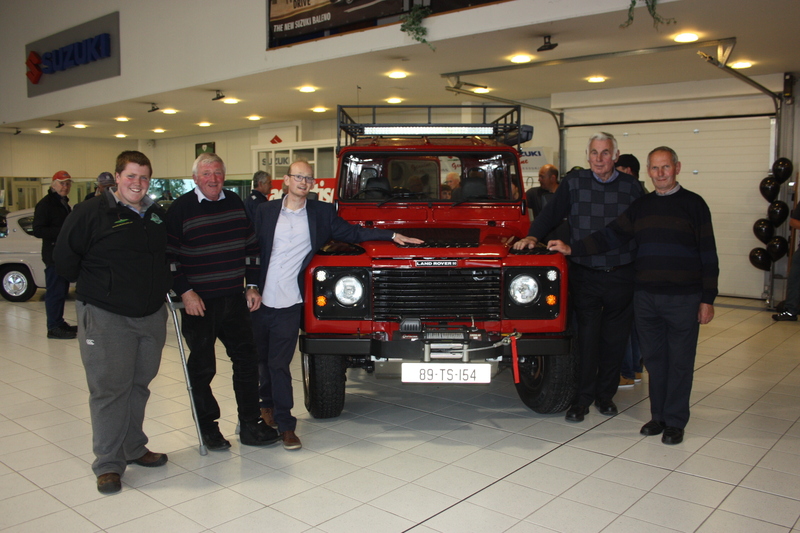 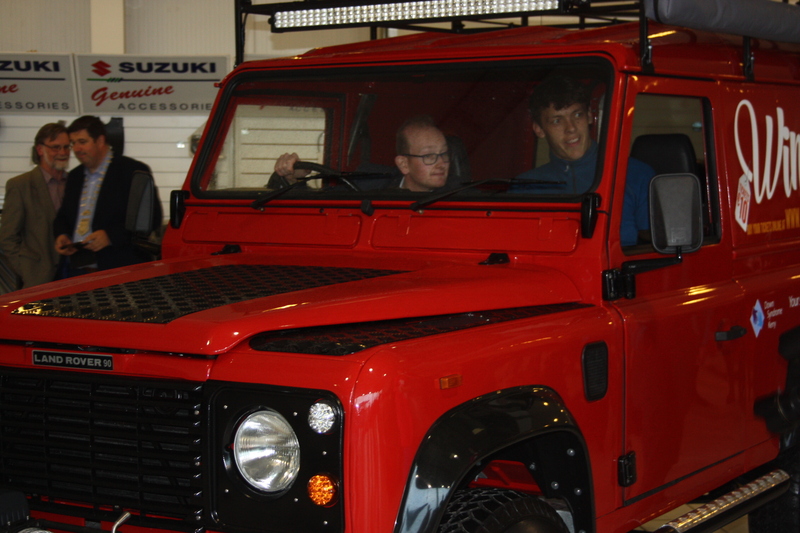 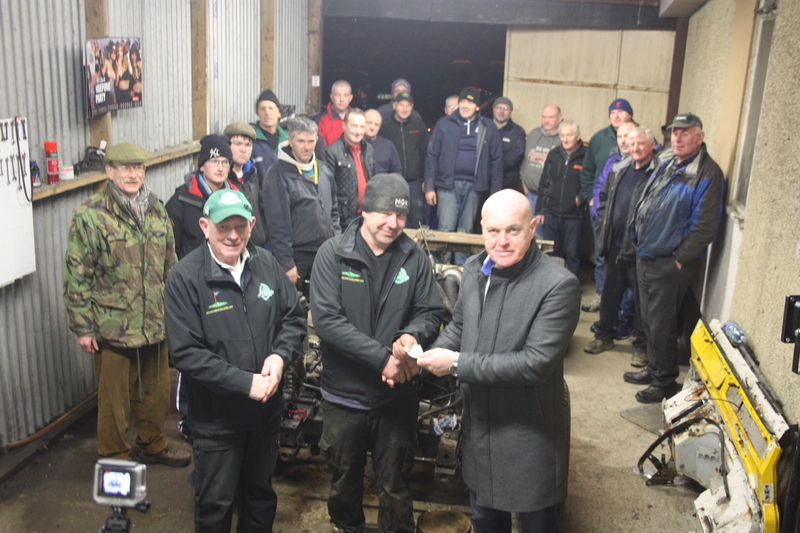 Guest of Honour on the evening was Kerry Footballer David Clifford who launched the restored Land Rover. 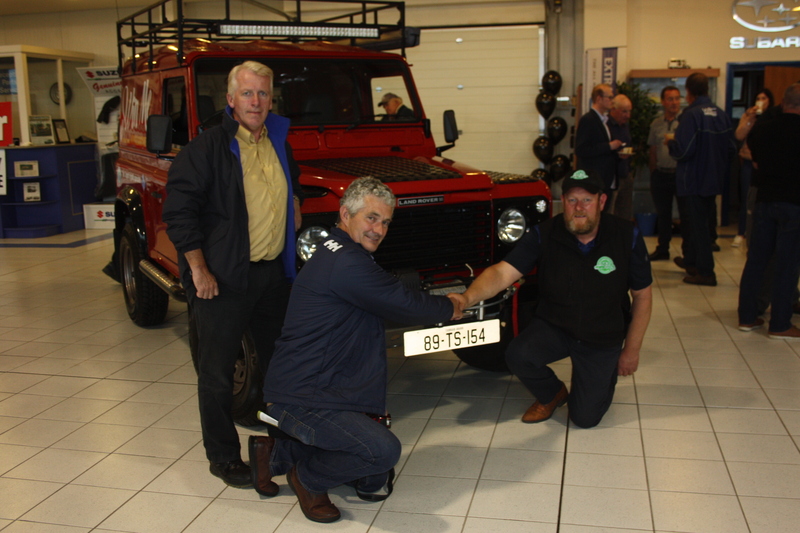 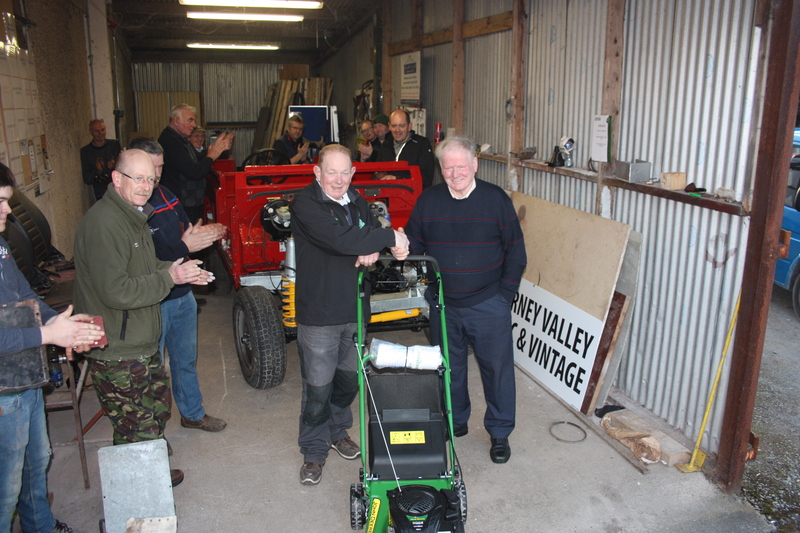 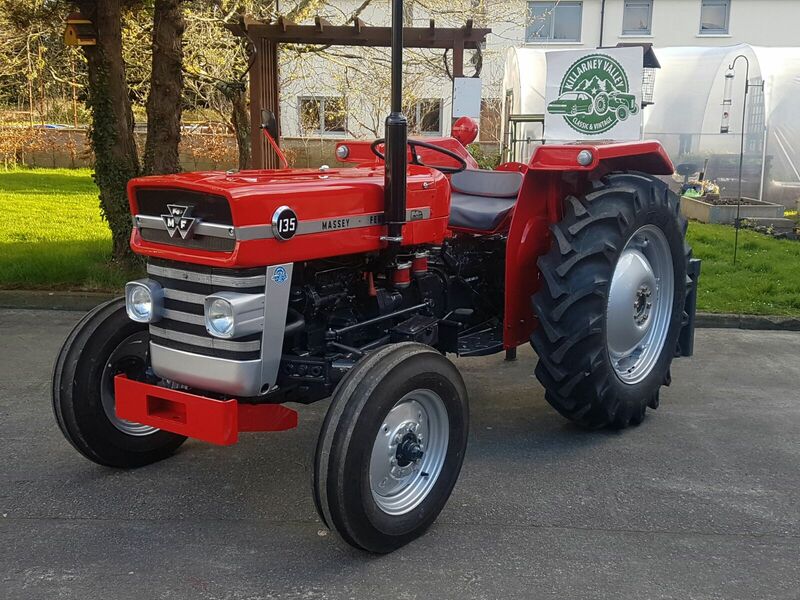 Following the success of the clubs Massey Fergusson 135 Tractor which was fully restored for charity last year, the club took on a bigger challenge of an old Land Rover 90 which happens to coincide with Land Rover celebrating their 70th anniversary this year. 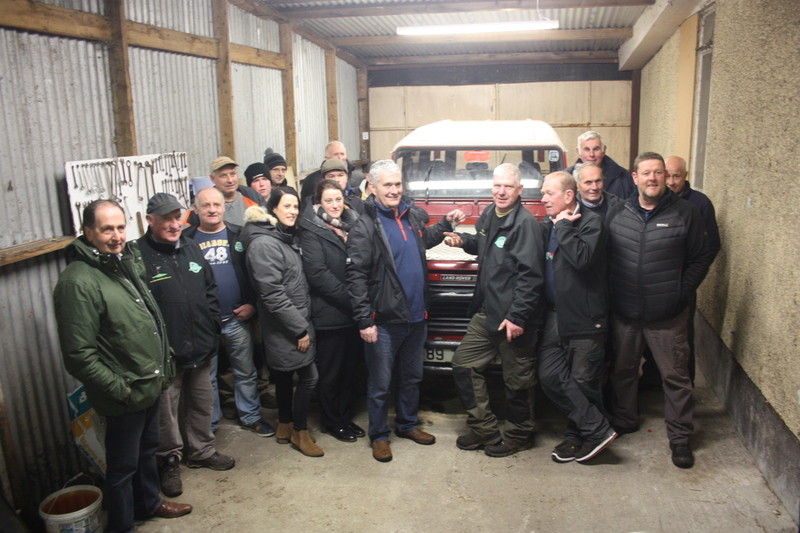 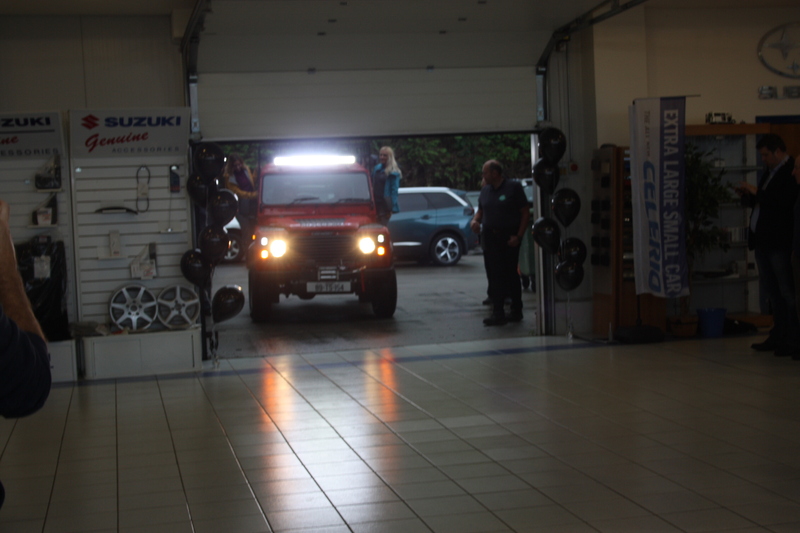 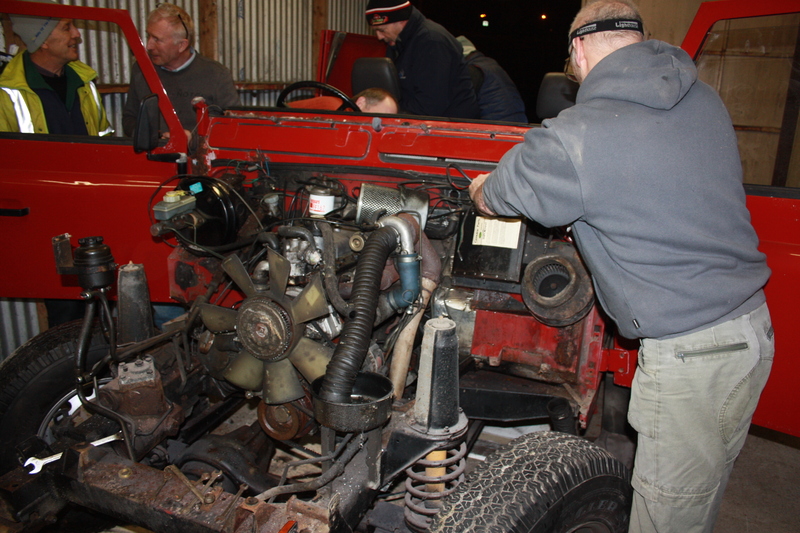 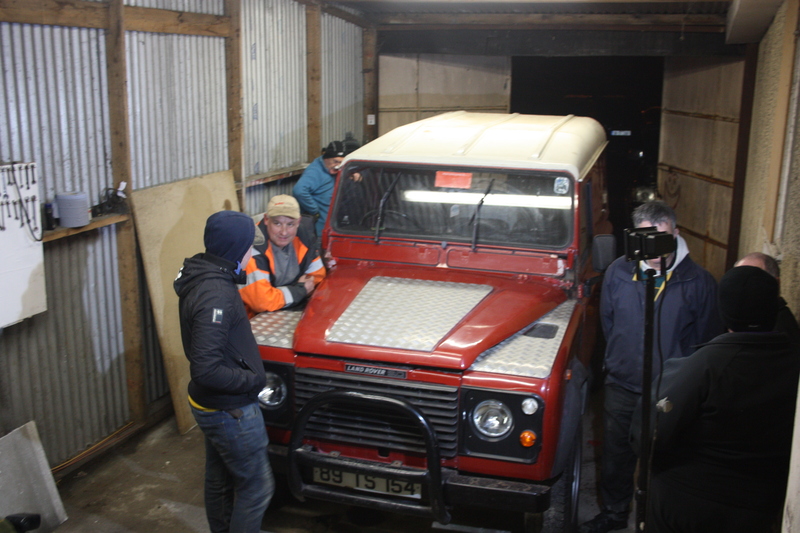 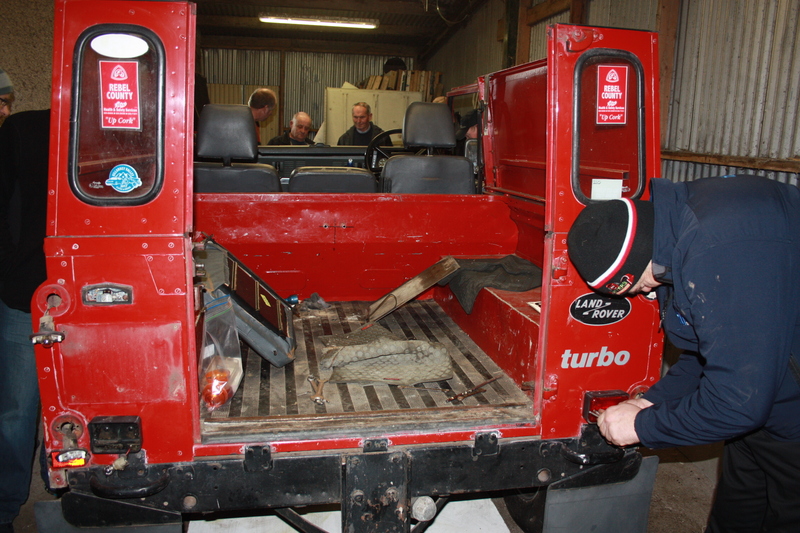 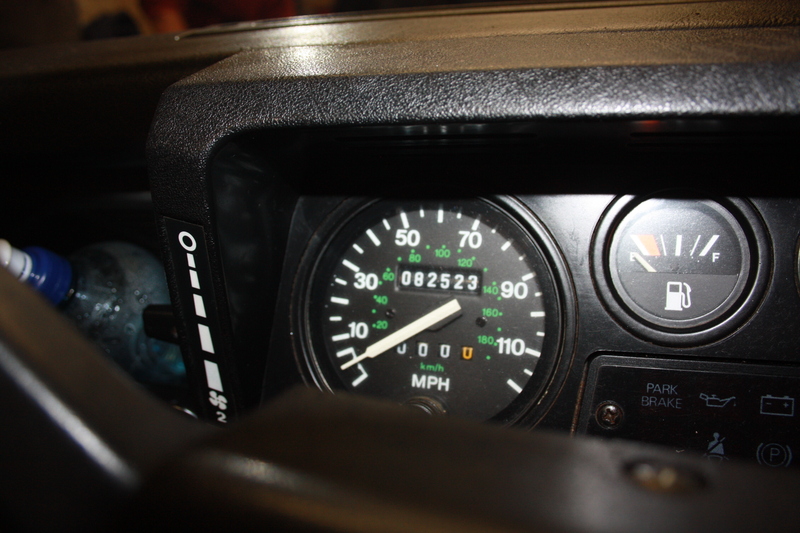 The club sourced the old Land Rover through a friend of the club in Cork with the vehicle being off the road since 2002 and with only 82,000 miles on the clock. 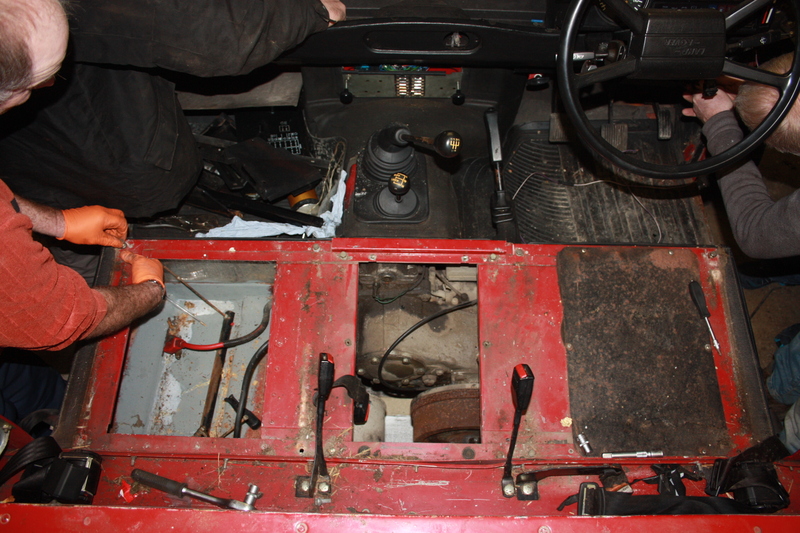 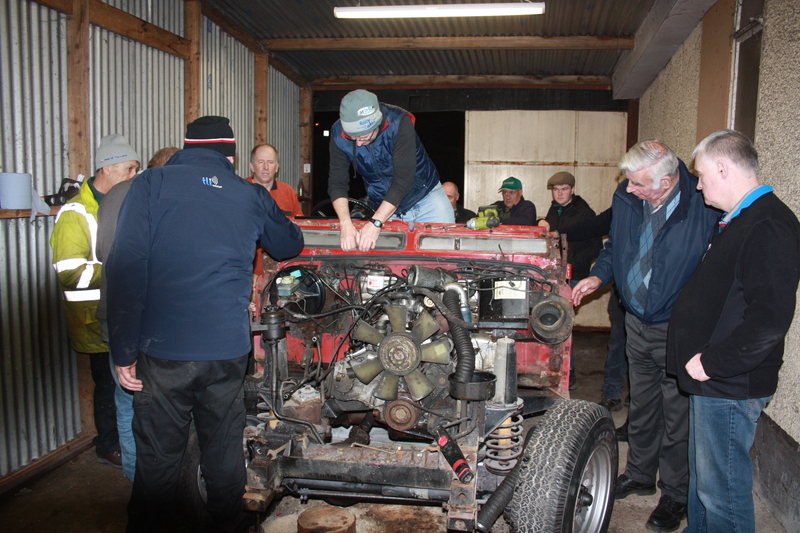 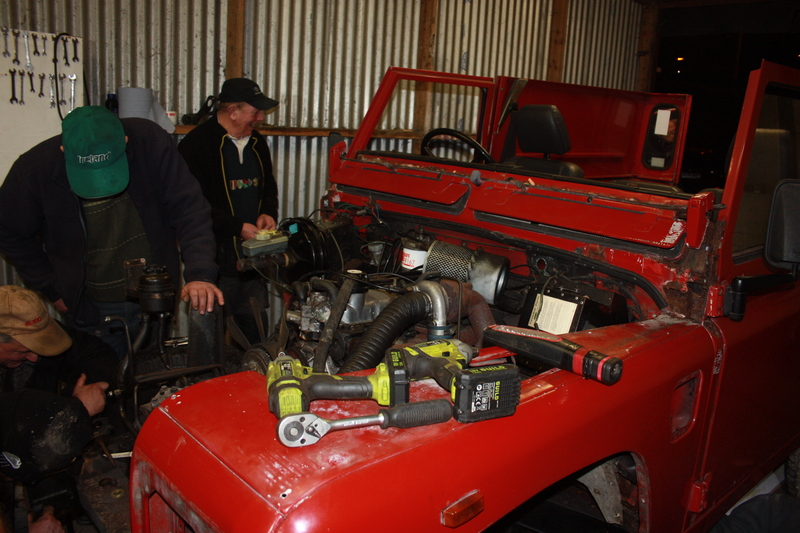 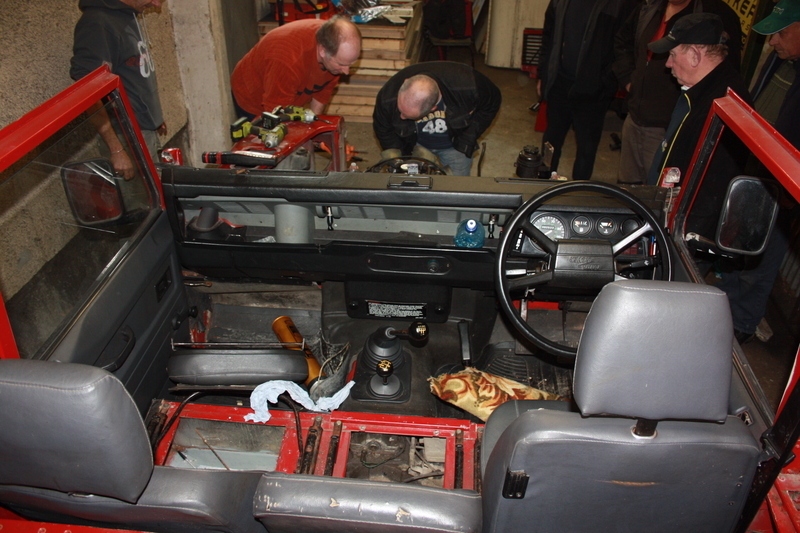 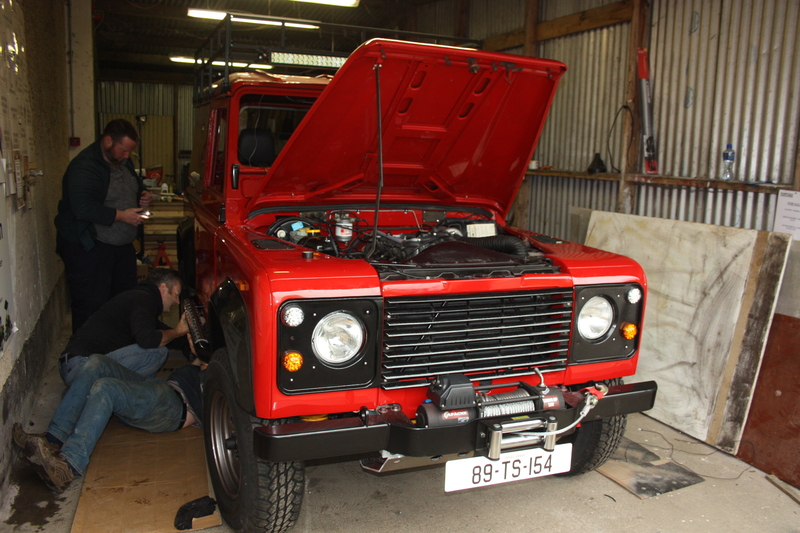 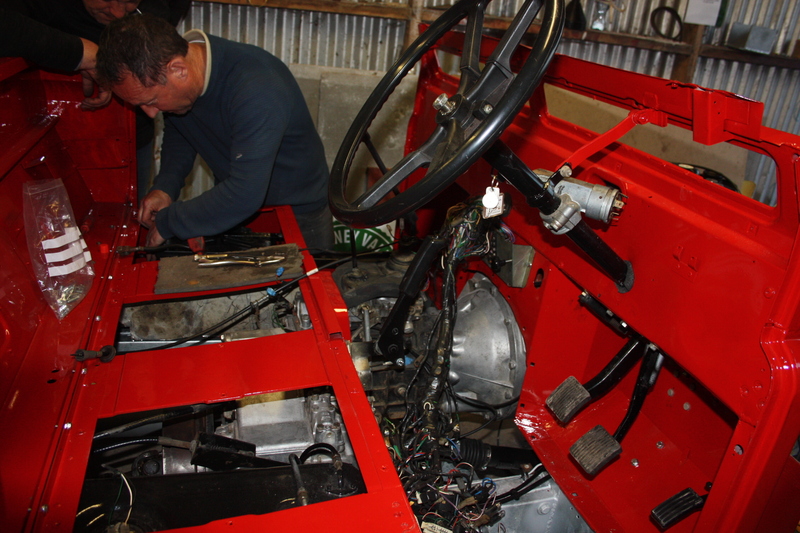 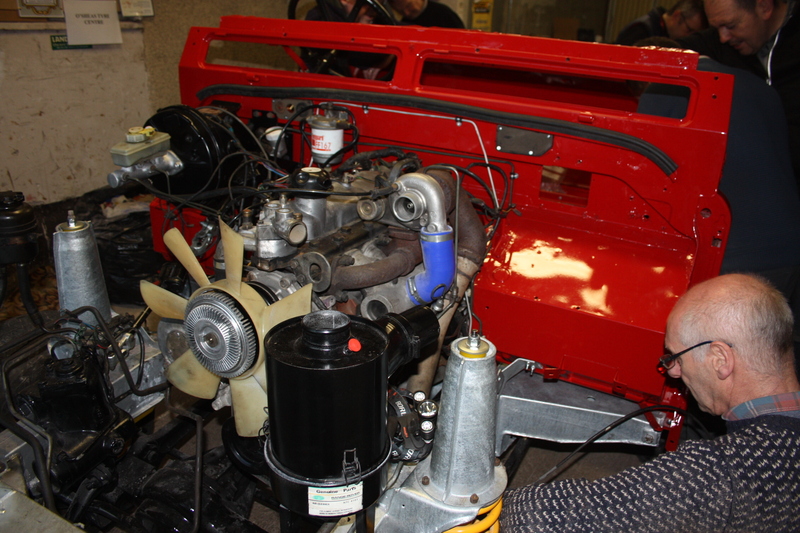 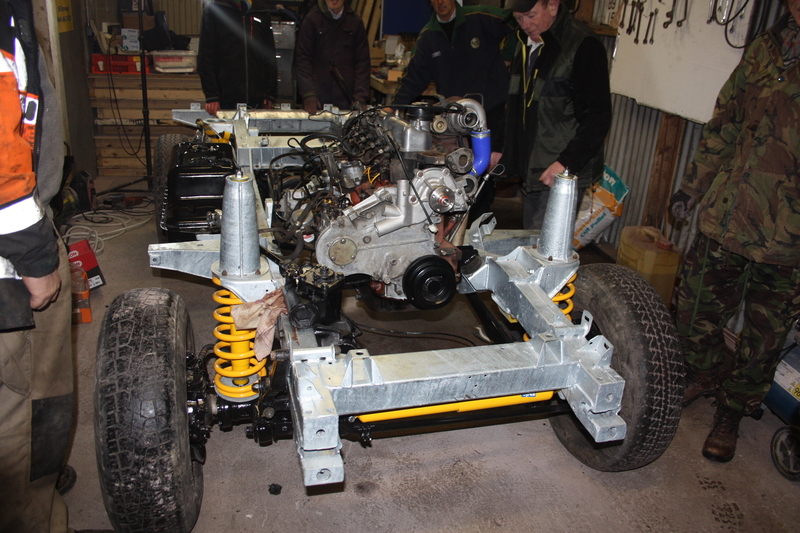 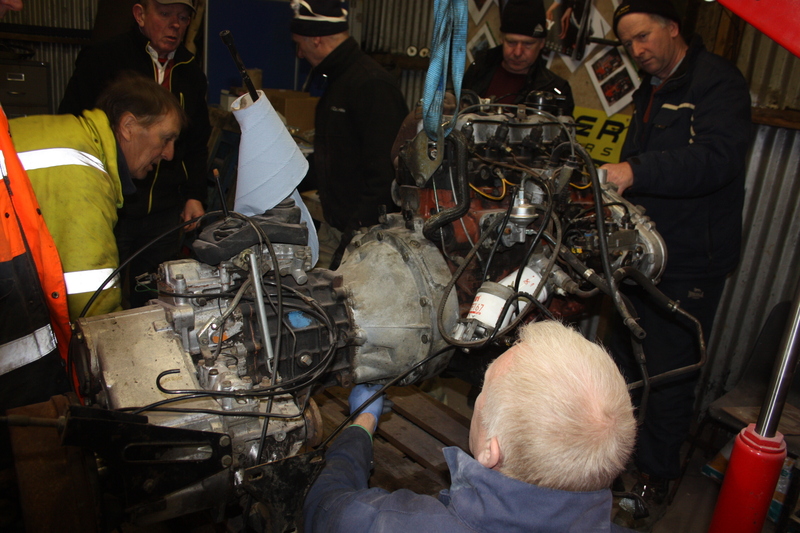 The vehicle was in good condition except for the bulk head which had a serious rust issue with the chassis and other components well maintained but the club decided to do a full complete dismantle last November when the project began including the full galvanising of the chassis and to give it a modern look, the club adding a sump guard, winch, roof rack, awning, LED lights and a full body spray was carried out to make it a dream machine. 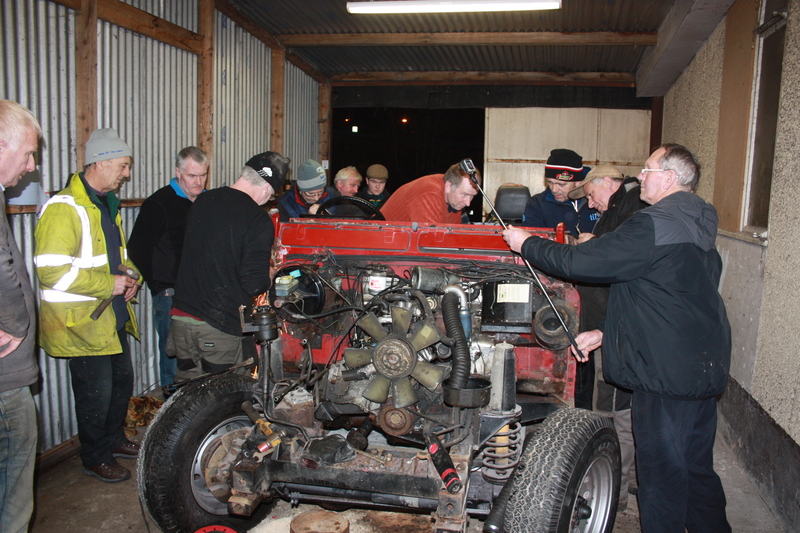 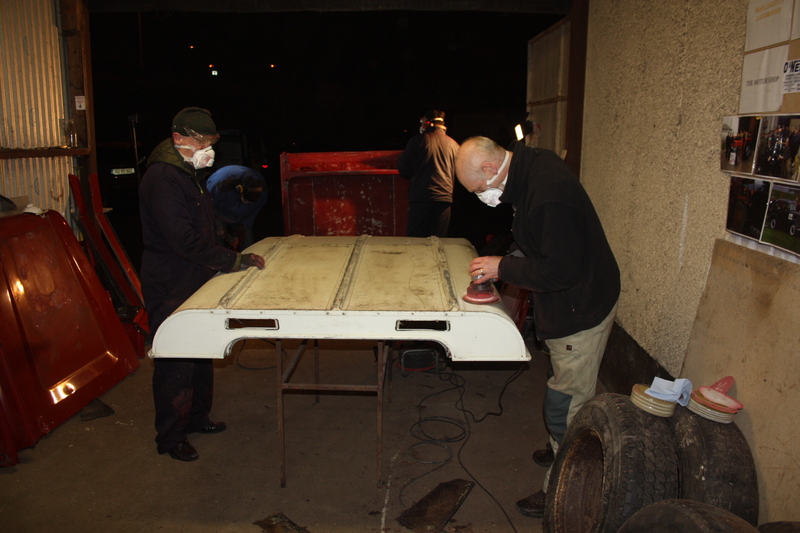 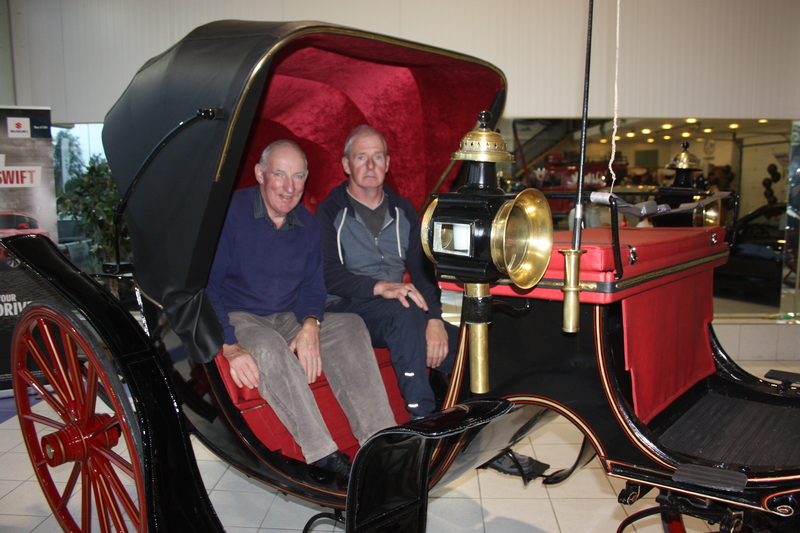 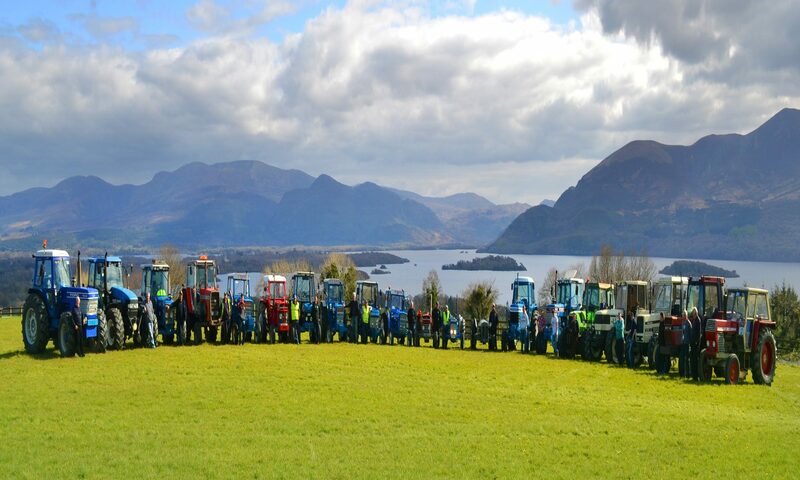 Club Chairman, James Looney estimated that it took over 300 hours of voluntary time to complete the restoration which would not have been possible to complete without the huge support of the club members, sponsors and supporters through all walks of life. 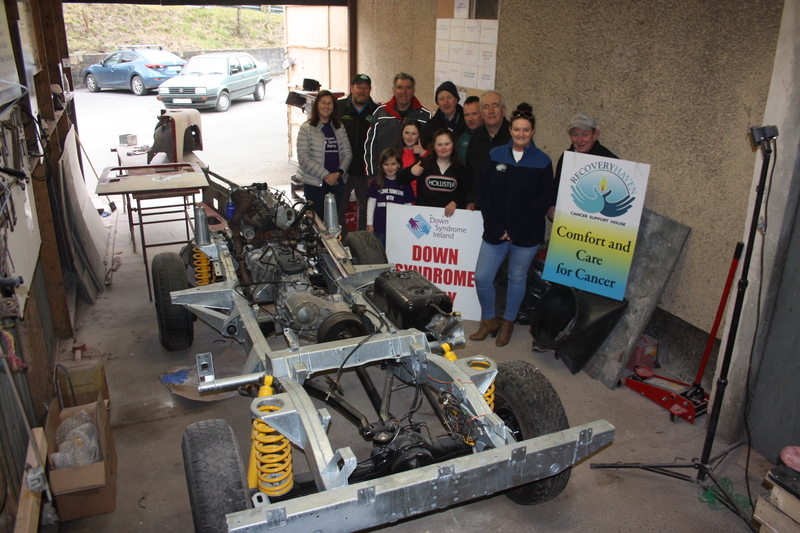 James added The project was a great social event for our committee and club members and we would like to sincerely thank everyone who got involved with the project. 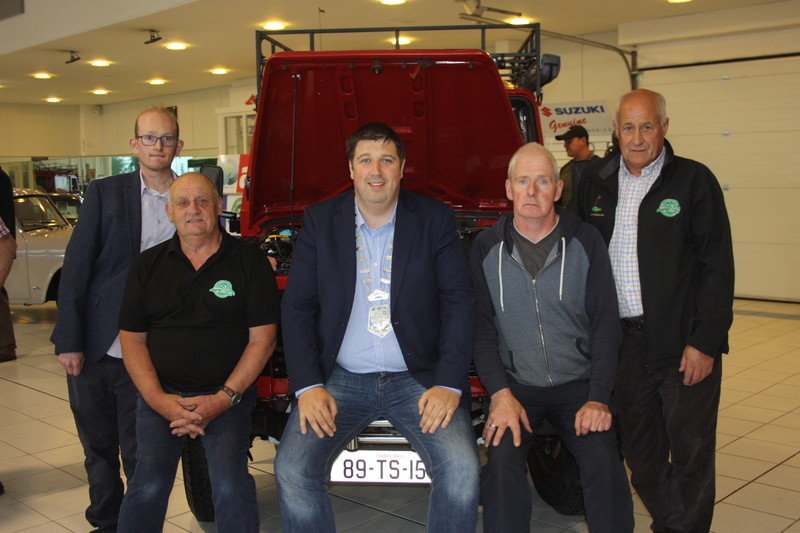 It would not have been possible to complete the restoration without your help and support, which is greatly appreciated..  Also in attendance at the launch was Mayor of Killarney Niall Kelleher along with Councillor Maura Healy-Rae. 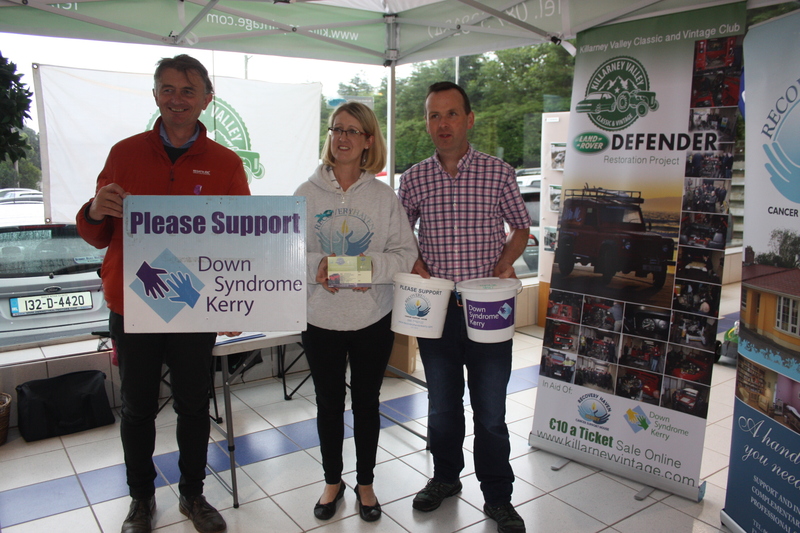 Benefitting this year from the proceeds are Down Syndrome Kerry and Recovery Haven Cancer Support Group. 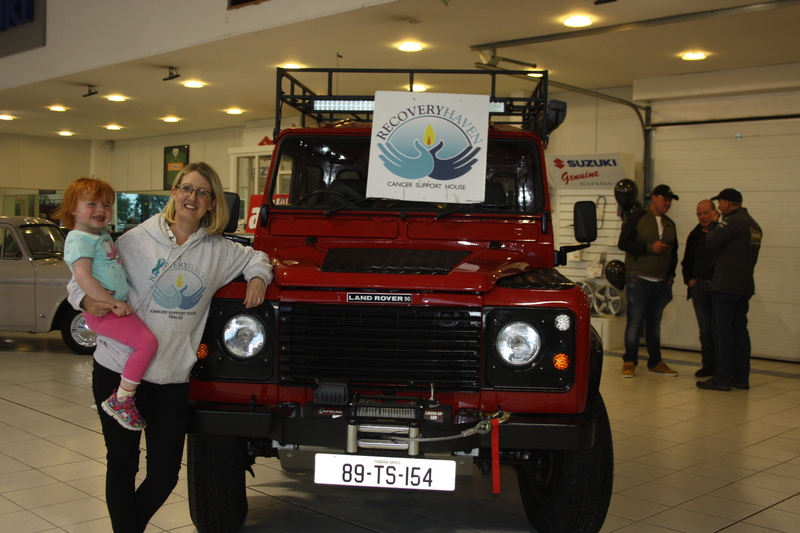 Tickets cost €10 each and are available online at HERE, and directly from both charities and from various outlets. 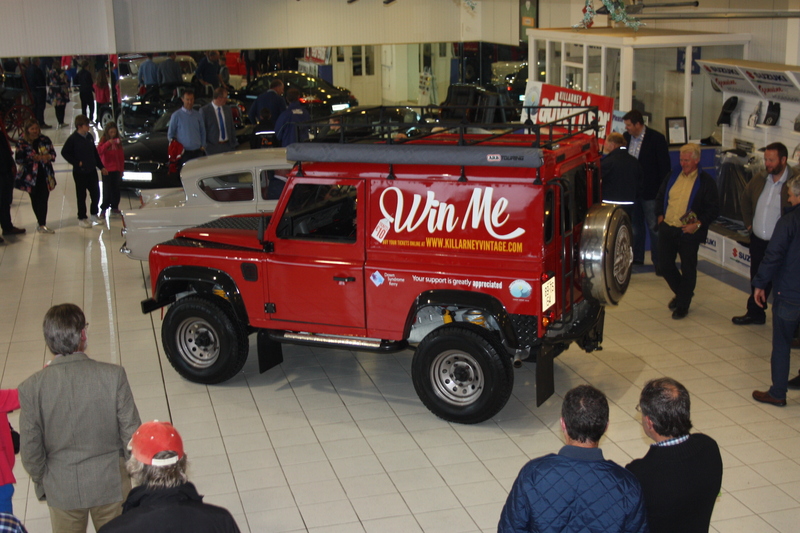 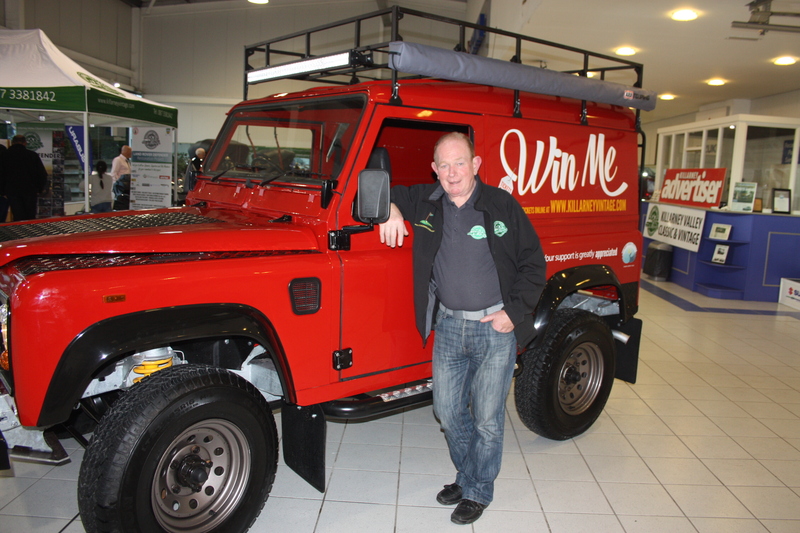 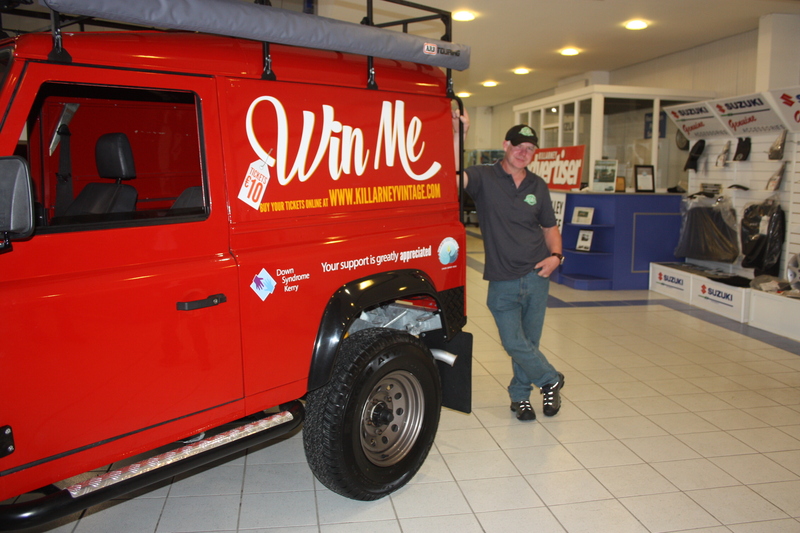 The Land Rover will be at different events throughout the County over the summer months with the draw taking place on the 17th November next. 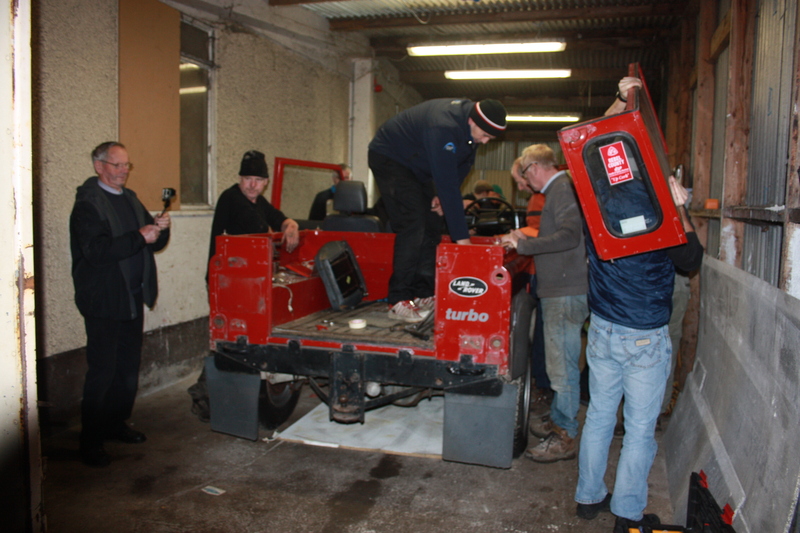 Any queries, please contact club secretary on 087-3381842.